Kat and Karl : chariot races! 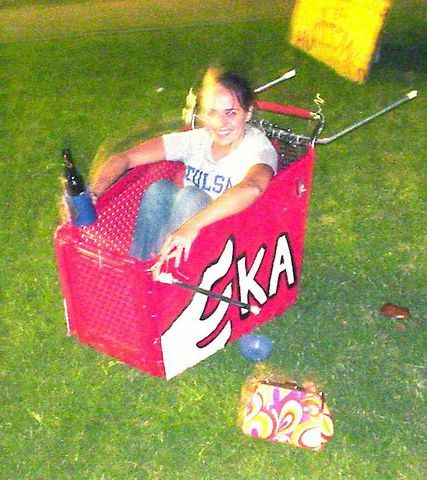 hanging out in the "chariot race" thing of the Kappa Alpha. They do these races pre-Homecoming. I don't think they won and then the cart, er, chariot was destroyed! Great action shot, Kat. Looks like you're really flying in that thing! PS- I don't condone drinking and driving! Ha, ha.